Mozzarella di Bufala : Tomates, mozzarella, huile d&#39;olive, basilic. Homemade Italian sweet course served in its coffee flavoured sauce. 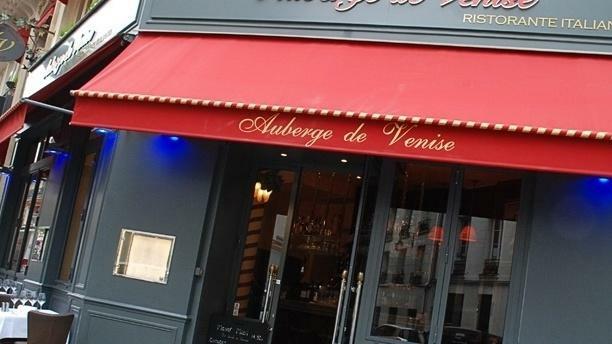 "SECOND SPOT - The little sister of the mythical Auberge de Venise in the 14th arrondissement, rendered popular in its time by Hemingway and Picasso, has moved into the heart of the Bastilles... A place already full of promise! MAMMA MIA - Fresh ravioli stuffed with cream sauce mushrooms, salmon with fleur de sel and seafood risotto, veal cutlet with onion sauce and white wine, polenta and fettuccini, tiramisu or tarte Tatin of the establishment... The new location is no exception to the rule: the cuisine is Italian, family, fragrant and sumptuous. MUSICA E PASTA - located just opposite the Opéra Bastille, this is a required gastronomic break after some acts of Puccini or Verdi, to conclude an evening of Italian romance beautifully." Great as usual! Francesca and Fred are always on TOP! Merci beaucoup Silvio, à très vite ! Super nice restaurant really italian style ... food was amazing !!!! Thank you for your comment Klaudyna ! We are glad you enjoyed our traditional menu and the quality of our Italian food. We hope to see you again soon ! Merci beaucoup Salma, à bientôt ! The food was very nice but the restaurant was nearly empty. Good value with the discount. Le service était un peu long. La pizza était correcte, sans plus. Food was mediocre- not authentic at all. Nice staff and good food ! Très belle adresse made in italy au cœur de Paris. C’était bon et copieux. Service attentionné. Really great place. We did feel the real and deep soul of Italia. Staff very welcoming. The food here is great, very good value great location and service.